Fun with Fire! 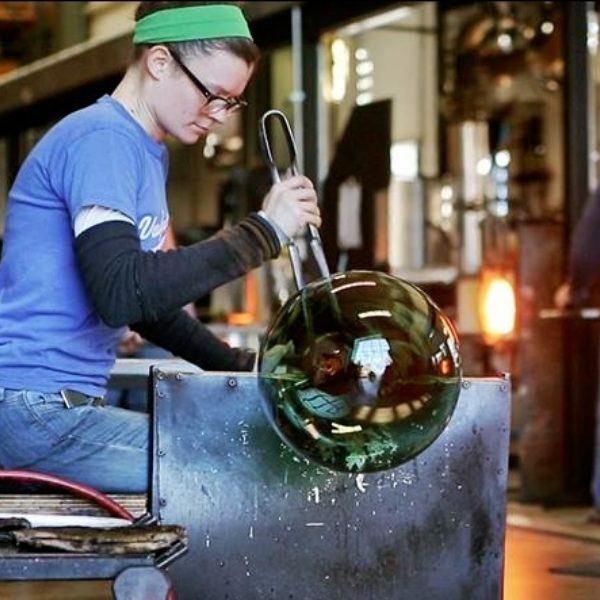 This weekend workshop will explore the exciting and challenging world of glassblowing. We will begin to investigate the material by making solid objects, followed by making the leap into blown glass vessels. Explorations in color, form, teamwork, and fun will be at the foundation of our time together. Students are sure to leave this weekend not only with a fresh set of skills, but a new appreciation for the material. All are welcome, though this class is best suited for those new to the material. Annie Shepherd was born and raised in the outskirts of Lincoln, NE. Her undergraduate education includes direction in glass studies at both Hastings College, Hastings, NE and Alfred University, Alfred, NY where she received her BFA.